MS Dhoni is tired of playing cricket throughout the year. Carrying the heavy burden of hopes of millions he has been playing international and T20 tournaments. Despite his complain about too much of cricket BCCI is not letting him rest. Now he has the best chance of taking rest after England Series, by deciding not to play Champions League T20. The 2011 Champions League Twenty20 is scheduled from 23 September to 9 October. Dhoni knows he can earn a rest of minimum 17 days by refusing to lead his IPL 2011 Champion Team Chennai Super Kings at India. Afterall, what is wrong in it! He has been screaming on top of his voice that players are tired due to too much of cricket. Being the Indian captain, for obvious reasons, he cannot talk about himself being tired. He has remembered the count very well to explain how Indian team has played 200 days of cricket in last one year. He also remembers how his bowlers have bowled 900 overs in a short span of time. He indicates citing the too-much cricket reason that a proper rest-full schedule would have helped India perform far better in avoiding the drubbing in ongoing England series. Records prove how BCCI has ignored his indirect pleas. From August 2010, Indian players have been playing continuously. Except November 2011, there is no respite for already overworked Dhoni. He will be justified to set an example for other Indian cricketers by taking self-enforced rest during Champions League Twenty20. Afterall despite the hectic schedule all the Indian players were part of Indian Premier League. Nobody complained then. Rather some players opted for rest and healing injuries post IPL skipping the West Indies tour. Senior players like Tendulkar skipped entire West Indies series to spend time with family, although the same thought never came during IPL. Sehwag and Gambhir opted to take care of injuries after playing last games of IPL. Even Zaheer Khan could not make himself available for West Indies series. 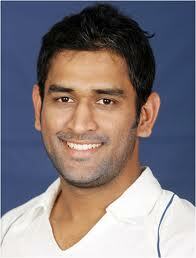 Dhoni also, after playing IPL needed some rest, and opted out of ODI series, and joined the team for Test series. The series schedule of past and future prove BCCI is not taking care of players. Dhoni will be right to enforce rest on himself and walk out of Champions League Twenty20. Dhoni has been the most admired leader in India. His successful results have made him the Management Leader Icon of India. Now, he cannot see his country suffering more, specially when he isÂ playing, due to non-cricketing reasons. He would like his team to perform better playing after relaxing when required. He is right to point out about too much of cricket. Now, he is set to lead the players by imposing rest on himself during Champions League, so that his mind and body can be ready for next round of International series, where India’s pride is at stake. Everyone around the globe is quipping that money is the biggest factor for the success of IPL and other Twenty20 cricket, and resulting into Indian players poor performance. Now, Dhoni can prove them wrong by sacrificing his booty of Champions League by refusing to represent Chennai Super Kings. By doing so he will prove his words on too-much of cricket is not just excuse but real issue for him. The World will await the historical decision of Captain Cool Dhoni on not playing the Champions League. Will he do so!! Only Dhoni can answer the big question!! Most of the cricket followers, although, know the answer well in advance.